Project financially supported by the Ministry of Culture of Slovenia, sponsoring a residency in London in September 2016 and University of Ljubljana Faculty of Architecture and Javni sklad RS za razvoj kadrov in štipendije. KUD C3 is launching a new podcast series entitled Citisation dedicated to the exploration of contemporary cities and communities. This format will serve as a tool for observing different urban levels. In the first episode we introduce the city of London and walk through some of its famous markets. 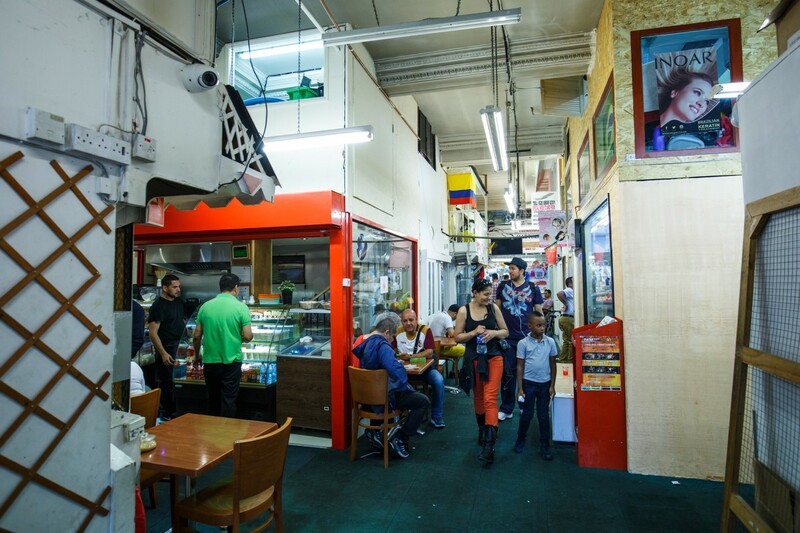 One among them is the Seven Sisters Market, the Latin community market, which is currently under threat of closure. 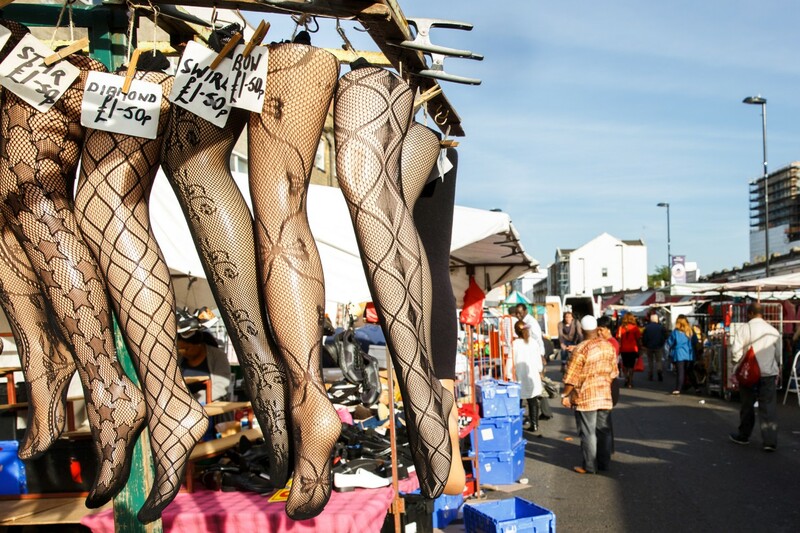 There are many markets in London. 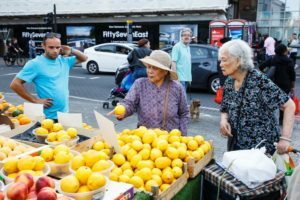 Some sell food, for instance Borough, Brixton and Smithfield; markets, then there are lifestyle markets such as Camden, Spitalfield, Brick Lane and Columbia Road Flower markets; and community markets including Seven Sisters and Ridley Road markets. 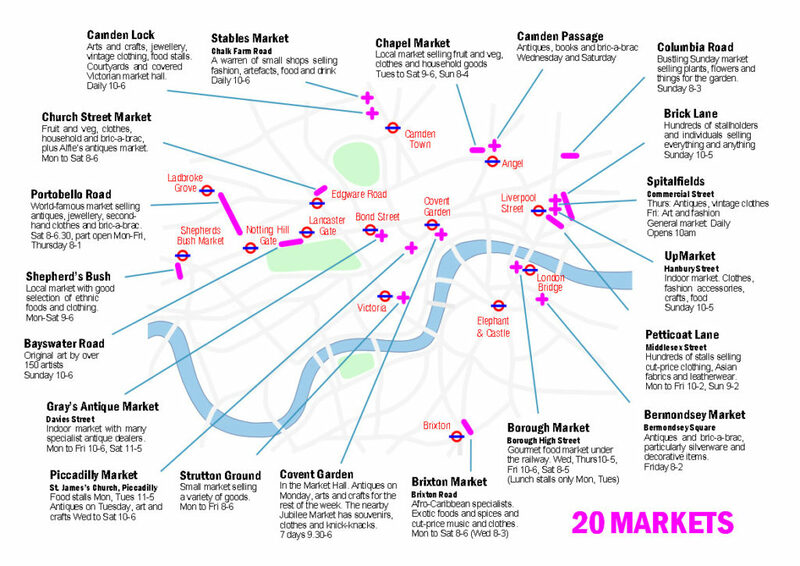 Some of these markets are permanent and some are temporary, open seasonally or weekly. 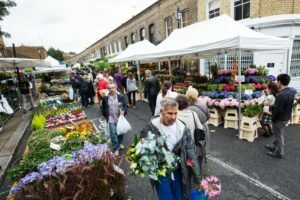 Community markets, where one can buy goods directly from small sustainable farmers, are becoming increasingly common in London. Farmers come to the weekly Saturday farmers’ market near St Paul’s Church in Dalston from a radius of 60 miles. 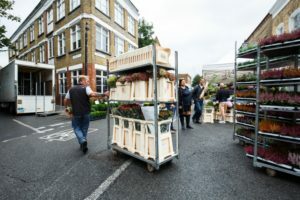 Their produce is organic or biodynamic, they sell raw milk, butter, cheeses, meat, eggs, bread, seasonal vegetables and fruits from Kent and Essex. They will not have apples in May but they will be available when they are in season. Purchasing from producers directly allows customers to find out exactly how the food was produced and the marketers to earn regular income. 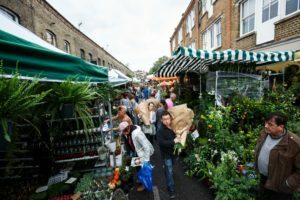 How will Brexit impact the food market in London and the UK? The distribution of goods, particularly food and coffee, will be largely affected. Meat represents sixty percent of the total UK food production, which means that the country regularly imports large quantities of food. A big part of the Brexit negotiations will concern trade agreements with countries that supply the UK market with food. Entering a supermarket in London, one is impressed by the apparently non-sustainable ways in which food is packaged and presented to customers. Everything is wrapped in plastic even mono portion fruits and vegetables. 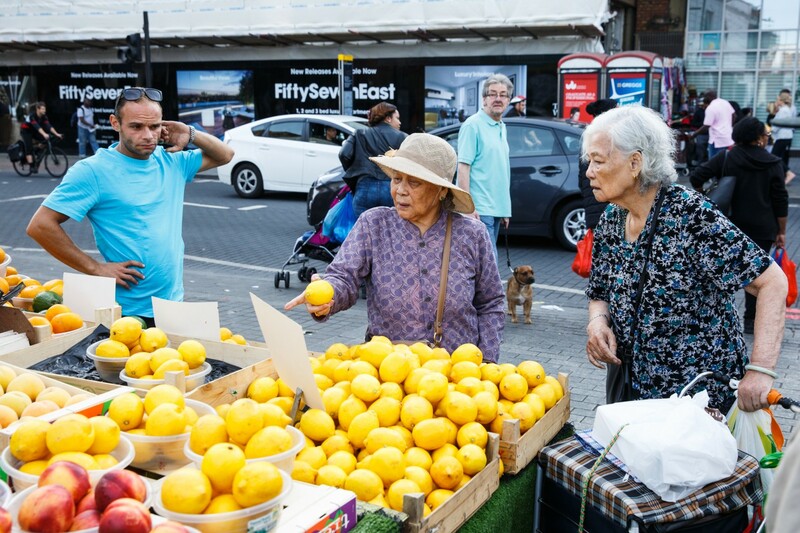 Imagining a more sustainable way to distribute and sell food seems utopian, nevertheless, there have been attempts to take control of the entire food supply chain through the establishment of food cooperatives – associations between citizens who cooperate for their mutual benefits. 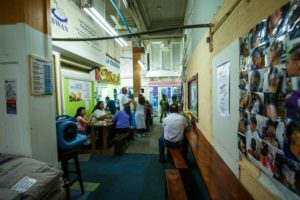 Food co-ops run as non-profit systems, they make food available at affordable prices and thus facilitate access to food. 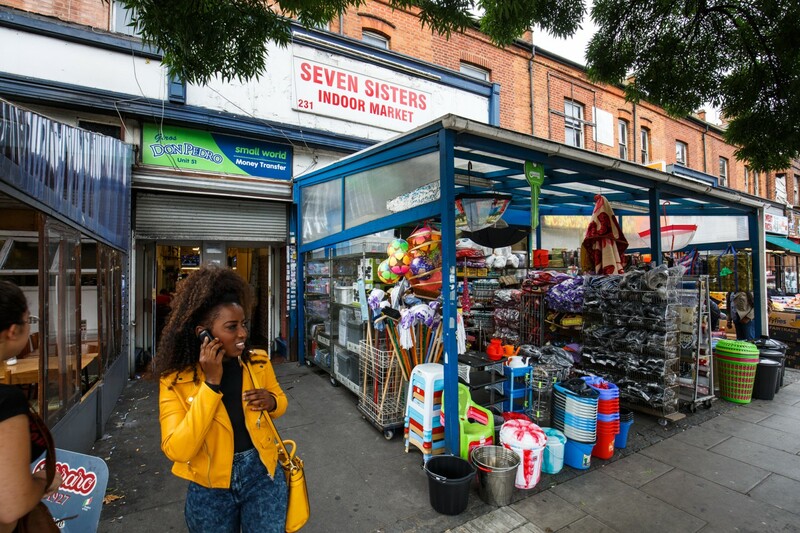 The Seven Sisters Market in Tottenham represents an interesting case study. 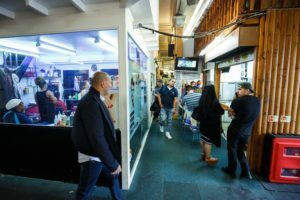 The market has been upheld by the Latino community for 20 years but is currently under threat of closing down. 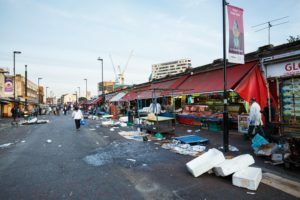 This is not an unusual or isolated phenomenon, in fact, the same thing is happening to London Elephant & Castle and Brixton Markets. 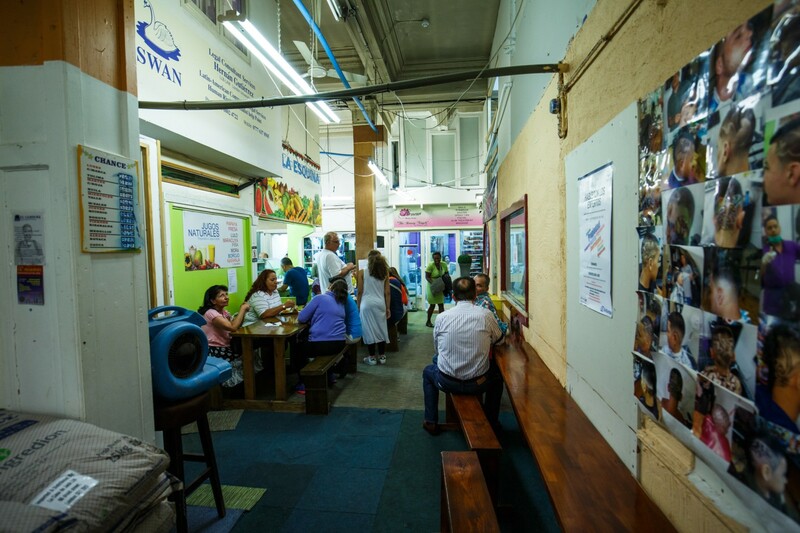 The Seven Sisters Market is small in comparison to other local markets, which gives it an intimate atmosphere. At first sight it feels like a big labyrinth, but this impression fades after spending some time inside, engaging in pleasant conversations with traders and visitors, tasting delicious food from Columbia, getting a haircut or just chatting with an acquaintance while sharing a tasty cup of coffee. Architect Lavinia Scaletti explains how “You will never see middle-class Latinos coming here, unless they come to buy their cheap South American meats for a specific occasion, but soon they will leave again.” The market is busy and loud and it might seem completely chaotic, but its spontaneous design has an important function to it. It protects the market community from unnecessary actions. People here do not like to be photographed, they will just turn away. But upon establishing a rapport with them a particular kind of order becomes apparent. New dimension and new contents emerge, revealing a tightly knit community providing its members with various kinds of support. The Seven Sisters Market is situated in North London, close to Finsbury Park, in an area, that was not considered very appealing until a few years ago. The new Victoria underground line and other new connections with central London thoroughly transformed local mobility and profoundly changed the neighborhood. 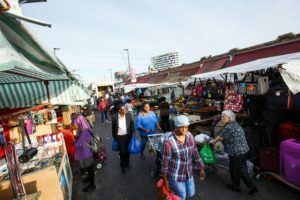 A a result, the Seven Sisters Market was set to be demolished, but the local community reacted strongly and organized to stop the demolition. ”They think they know what we want and what is best for us,” I hear somebody say during my visit. 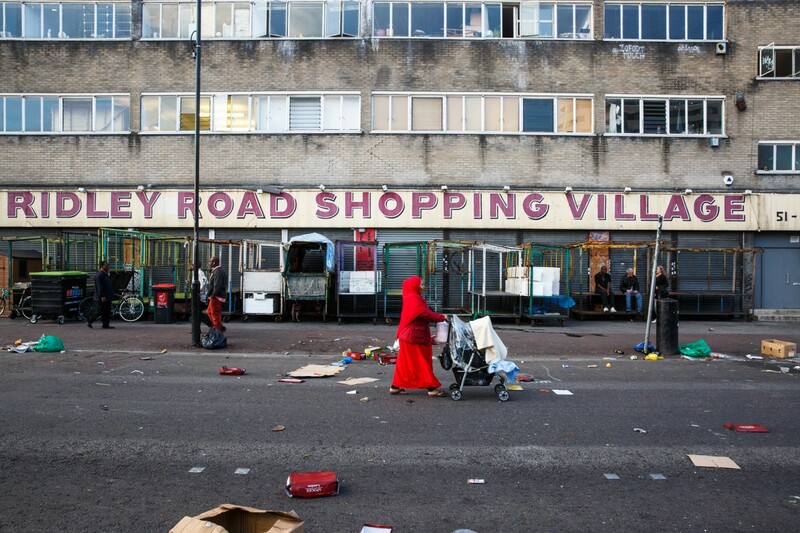 It makes me realize that we forgot to ask the basic question – How do we start community recuperation? 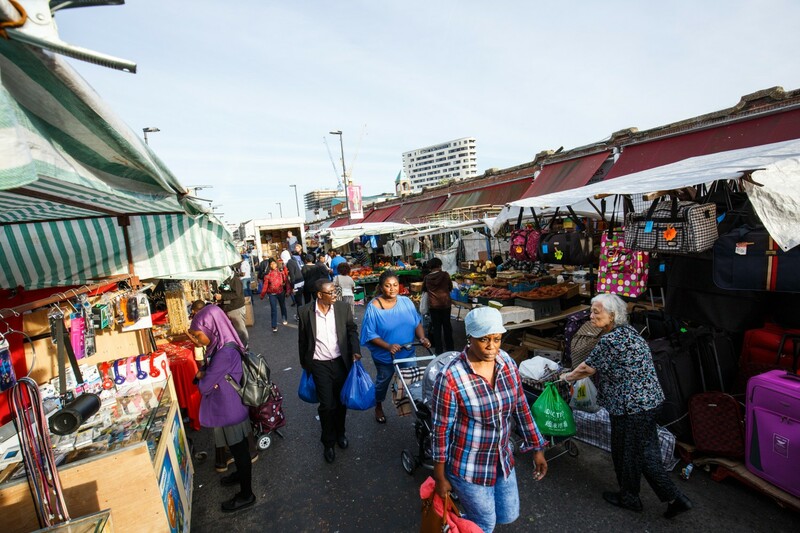 Or as Berthold Lubetkin, the author of Penguin Pool at London Zoo, puts it, “Architecture is too important to be left to architects alone.” Markets are micro urbanisms, they embody urban relationships which make London a diverse and interesting city instead of just a scary megalopolis. 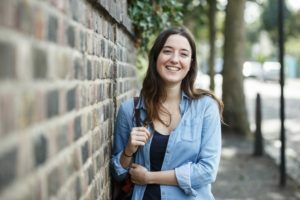 Citisation is based on the original idea of Boštjan Bugarič and Giulia Carabelli who wrote the scripts and conducted the research and interviews in London. Music is composed by Bojana Šaljić Podešva. Research process is documented in photographs by Domen Grogl. The story was edited by Khalid el Kaoutit, Maja Žiberna and is narrated by Sunčan Stone. 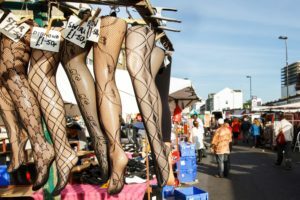 The research for this project was performed during a residency in London in September 2016, with support from the Ministry of Culture of Slovenia. Special thanks to those who took part in the project sharing their ideas and experiences in London: Lavinia Scaletti, Gilberto Buzzi, Tim Lang, Tim Sawford, Paola Dalla Vecchia, Camilla Cocina, Kay Pallaris, and Dennis Meaden.